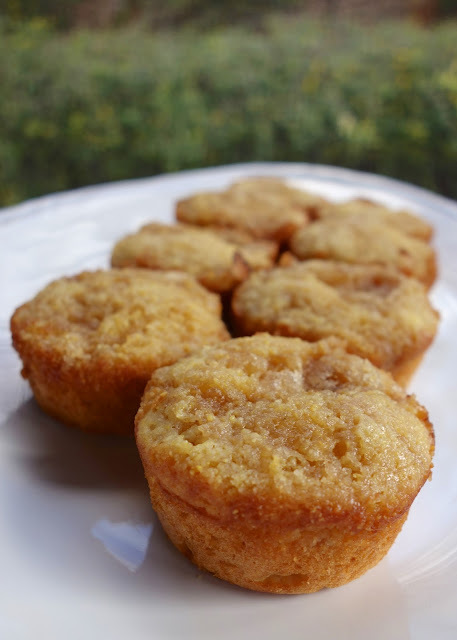 These Fried Apple Corn Muffins are out of this world delicious! The folks over at Glory Foods sent me a gift basket of products and a few recipes to try. I tried these muffins the day I received the basket. They sounded so good, and I just couldn't wait to give them a try! These muffins don't taste like corn bread. They actually taste like little apple pies. They are super moist and only take minutes to whip together. These muffins would be great for breakfast, snack or desert. Next time I think I might drizzle the muffins with a little icing. Make these for your next get together - I guarantee they will be a hit! Chop apples into small pieces. 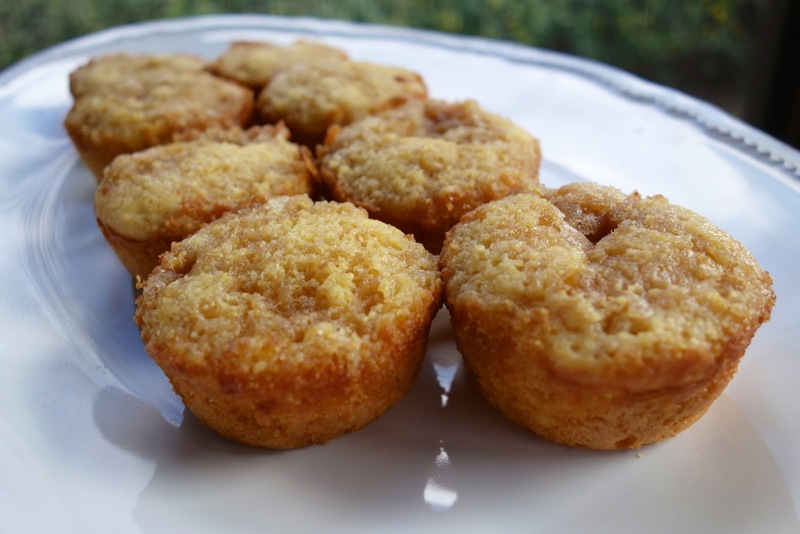 Combine corn muffin mix, apples, egg, milk and baking powder. Scoop into regular muffin pan. Combine brown sugar and white sugar. Sprinkle sugar on top of muffins. Discolsure: Glory Foods sent me products to use in this recipe. All opinions are my own. These DO look so good! I can't wait to give them a try! number of servings with them -- I'd really appreciate it! Don't recognize the brand on the apples-are these like apple pie filling? Susan - it is not apple pie filling. It is a can of fried apples. The brand name is Glory. The apples would be in the vegetable section at the grocery store. I love the canned good from Glory. They're so flavorful. I'm for sure going to make a batch of these. These will definitely be on the Memorial Day weekend menu. Thanks!!! The only place I could find the apples in my area was Walmart - they didn't have the brand of corn muffin mix - so I just used Jiffy -DELICIOUS!!! Need to bring into work so I don't eat them all! These sound like they would be a great finger food for a bridal shower I'm planning. Think they would work well as minis? I think they would be great as mini muffins. Just check on them at about 12 minutes - they won't need as long to cook.